The first phase of the town park is due to be completed by early April. 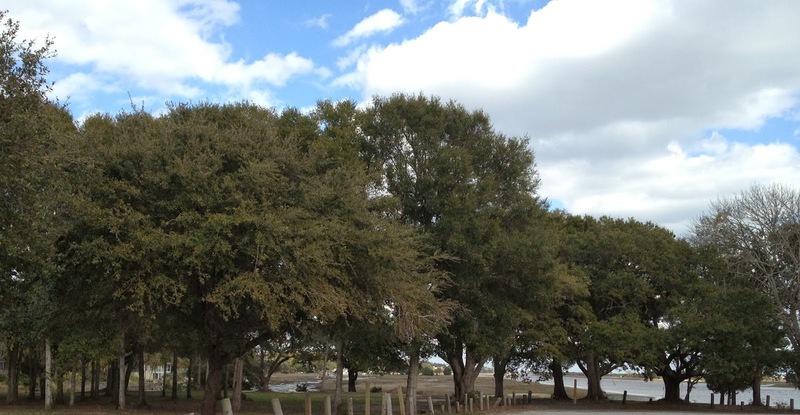 The park is located on a beautiful 5-and-a-half-acre plot on the mainland, a picturesque spot with graceful live oaks and a view of the water. Adjacent to the new fishing dock added last year, work continues apace on the walking trails and parking. And just down the street from the town park, the newly relocated Old Bridge Tender House serves as the Old Swing Bridge Museum and Giftshop. Volunteers continue to work and raise money to fully restore this historic old building, with a wonderful array of handcrafted items and memorabilia for sale. My favourite items are the keepsakes made of scrap wood rescued from segments of the old swing bridge, cleverly fashioned by Gerry Strickland, a local with a talent for woodworking and a family connection to the old bridge. Available at the Museum Giftshop.